The fintech industry is growing fast. And Stash Invest is one of the fastest-growing players in this industry—reaching a million users, or “Stashers,” in their first three years. Like Wealthfront (which we tore down recently), Stash is a robo-advisor: an online automated portfolio management service. They’ve made a big investment in content (250 articles in 2 years) and they’re hiring more content and SEO team members at the moment. Content is important to Stash, as they don’t just sell themselves as a robo-advisor. They promise to help their users understand their finances better with tips and articles. With Stash, content isn’t just marketing—it’s part of the product. 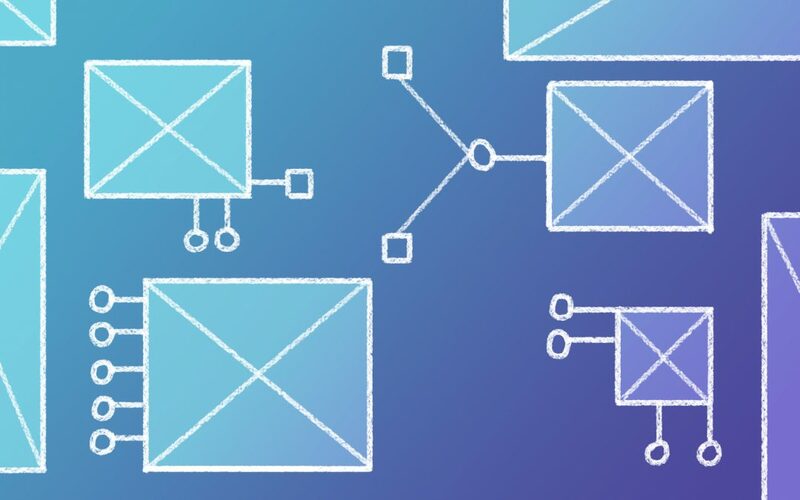 So, we took a look at what kind of content they’re making, which pieces are performing best, and what you can learn from them (even if you’re not in the fintech industry). Like many startups (including Wealthfront), Stash plays the subdomain game. There are other subdomains, but this gives you the gist of the important ones and how they’re used. Most of what we’d consider content marketing lives on StashLearn, so that’s where we’ll focus our attention in this report. What kind content does Stash create? This channel is about helping readers study their money and learn how to master their cash with guides and tips. Stash is a fintech company, but their value proposition doesn’t stop at the investing app. 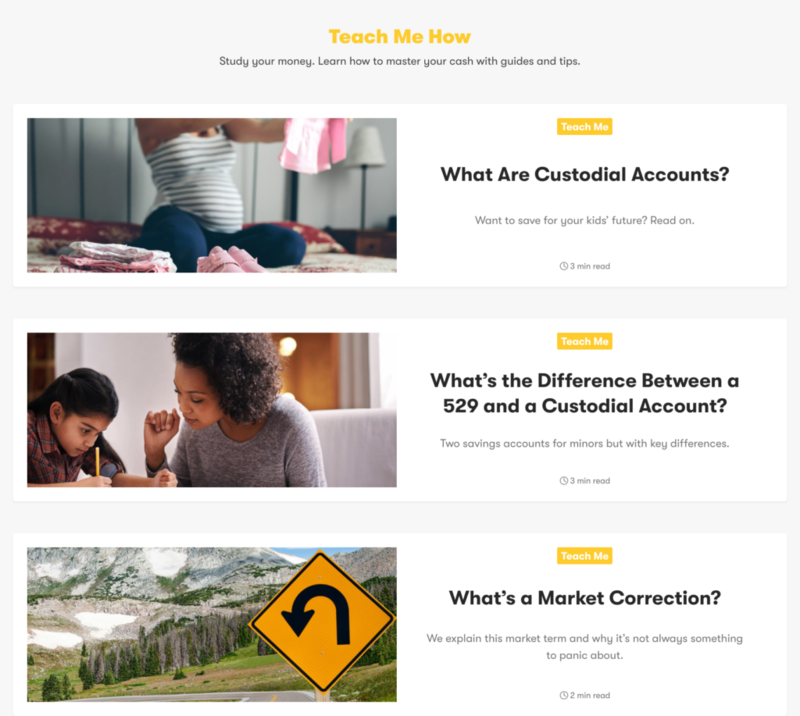 One of the ways they’ve appealed to their young user base is by promising to teach them how to think about their finances. This channel explains financial terms and processes for those new to investing and personal finance. Examples include this primer on building credit and this post about the differences between tax years, calendar years, and fiscal years. 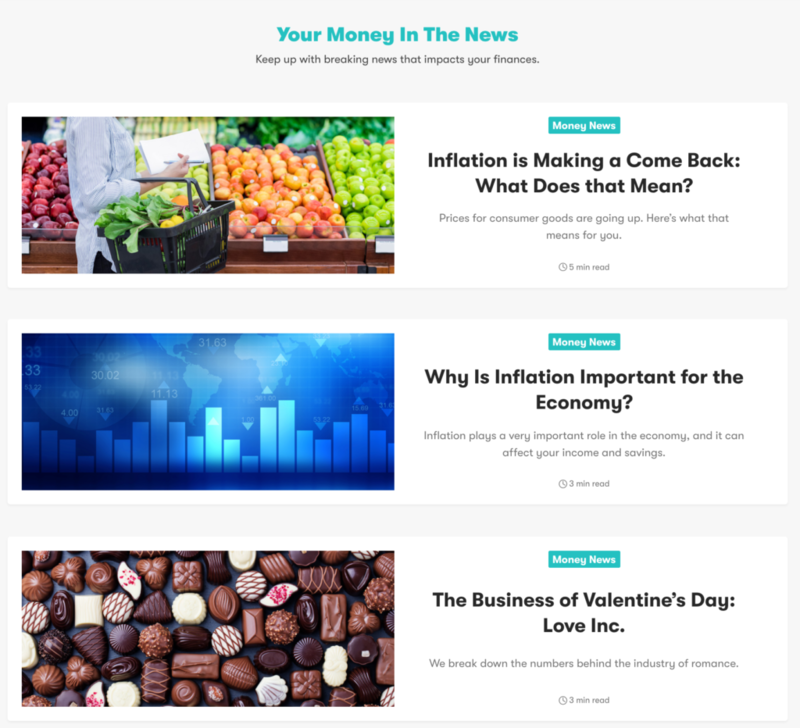 This channel addresses “breaking news that impacts your finances.” Stash runs timely commentary and explainers on the economy, and how world events affect it. It’s a source for relatable, relevant information on how the things you read about in your news feed affect the numbers you see in your Stash account. For example, Stash’s readers learn about the “love industries” that make a killing every Valentine’s Day. This covers more regular economic news, too, like this brief explainer on why Boeing’s earnings gave the whole stock market a lift. This channel is about “Cash-life balance,” helping readers get a financial perspective of their lives and interests. 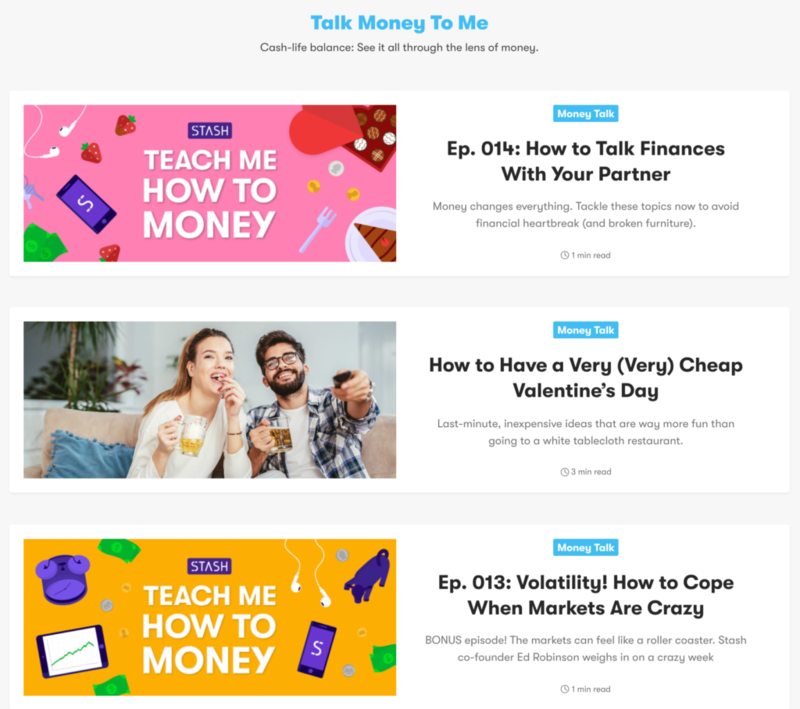 Talk Money to Me is recently dominated by Stash’s podcast, “Teach Me how to Money” (more on that soon!) but also includes written articles like the other channels. This is where a the fun stuff lives, folks. From newlywed budgeting tips to broke ex-boyfriends to the Harry Potter character that would probably be the best at investing. Every company blog has a category like this: it’s where you get to read about Stash products and updates and all that jazz. But it’s not only announcements about new features. You also get a look at some of the industry-specific portfolios Stashers can invest in, including companies with female leaders, treasury bonds, and the marijuana industry. The podcast launched in October 2017 with weekly-ish episodes through the beginning of December. Since late January, episodes have been more frequent, with new episodes posted to the blog on Tuesdays and Thursdays. The podcast is still new—so we’ll see how their publishing schedule evens out over time. The oldest article on the StashLearn blog is from November, 2015. Publication was relatively slow for the first full year of Stash’s blog, with about 10 posts published. Stash began hiring their content team in late 2016, and publication ramped up accordingly. The team published more than 180 new articles on StashLearn in 2017. Stash is still growing their content team, so we may be on track to see even higher output soon. How often does Stash post? At the time of this report, the editorial calendar seems too young to parse. Stash has recently begun publishing podcast episodes Tuesdays and Thursdays, but outside this, StashLearn content is more timely than it is programmatic. Oh, but there’s not a ton of content going live on weekends. How long are Stash’s articles? The average StashLearn article (not counting the podcast posts, which are naturally brief), is 1,100 words long. But there’s a pretty sizeable range here. Only six articles weigh in above 2,000 words. This is probably related to Stash’s timeliness; it’s hard to publish long-form, search-driven content on an as-it-happens basis. Who’s writing all this content for Stash? Stash has a stacked small team of content writers and editors who have worked with entities like Qapital, American Banker, Fortune, Inc., BusinessWeek, Fast Company, and many others. It’s a strong, small team—and they’re hiring more people to join them. Where does Stash’s traffic come from? Stash gets about 70,000 visits from organic search traffic every month. bout 58 percent of that traffic goes to their homepage. That makes sense: Stash customers might Google “Stash” instead of typing “stashinvest.com” into their browser. It’s a testament to the power of branding and SEO. If you build a brand that people Google, you’ll get more search traffic. Let’s take a look at what non-branded content of theirs is pulling traffic, and what it ranks for. Stash is pulling traffic from people interested in the activities of large companies (like Coca-Cola, Ford, Facebook, and Volkswagen). While that’s not exactly center of the bull’s eye for an investment app, it’s likely that people interested in this are also interested in making smart market investments. The #1 post is highly tactical, helping readers solve a felt problem. This post gets more than triple the traffic of post #2, by the way. Two of the top 10 articles address places to retire—not a bad thing to rank for if you’re helping people plan for retirement. Now we know what’s pulling in search traffic—but what are people sharing? By now, you have a good, high-level idea of how Stash is using content to attract traffic and customers. But you don’t need Stash’s funding to emulate Stash. Stash isn’t just an investment platform. Watch their marketing videos and you’ll see that they’re out to educate young people on personal finance. Their content is part of their pitch: they’ll help you understand how to invest. Granted, if you’re going to make this kind of promise about your content, you need to back it up. So back it up. Hire experienced, talented editors and writers. Give them a solid content strategy. Let them wow your customers and bring in new ones. A new Stasher is presented with the Quick Start Guide: a walkthrough of how Stash (and investing in general) works. This is really no big deal—companies have been printing user manuals for a long time. Except Stash uses this to direct people to important articles on their site. This is a brilliant SEO move. New users are shown to a guide, which links to all the most important blog posts Stash has published. This not only gives key blog posts internal links (an SEO win), but it sends traffic to those pages (one of the biggest ranking factors in SEMrush’s 2017 study). Stash is growing fast in a hypercompetitive world. If you want to do the same, pay attention to how they’re doing it—and apply some of these principles to your own industry.